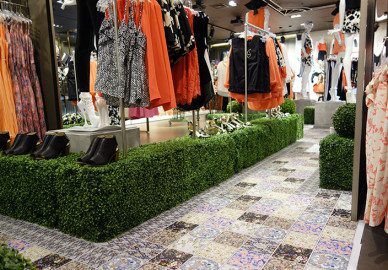 Floor vinyls great for retail, events and signage. 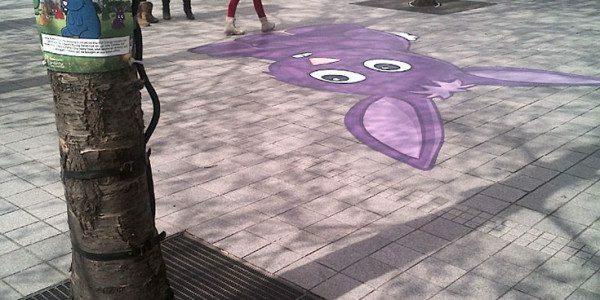 We're aware that graphics don't just go on walls and windows so we offer a comprehensive range of floor graphics solutions to apply to any surface you may want to cover including non-slip, easy to install linos for events or high adhesive, long lasting graphics for retail environments. 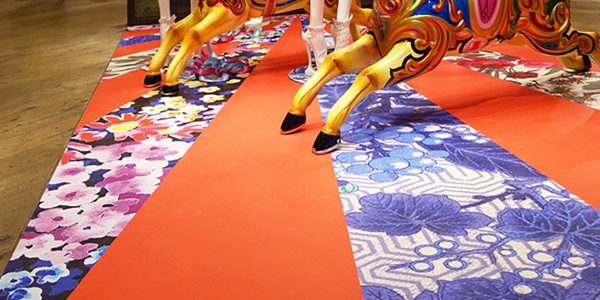 Safety and durability is paramount for floor graphics. 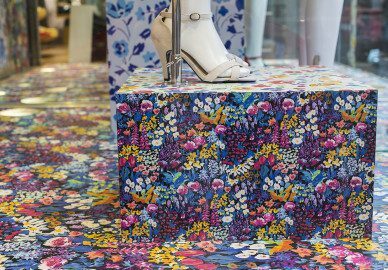 All of our materials are made to stand up to constant footfall no matter where the graphics are installed – shopping centres, pavements, museums, event spaces or retail stores. You can use floor graphics for a wide variety of purposes including arrows to guide people to a particular area, as a floor poster-style graphic for an event or a new product, or simply to add to the look and feel of your brand or organisation, whether that is fun-loving, corporate or inspirational (or a combination, of course). 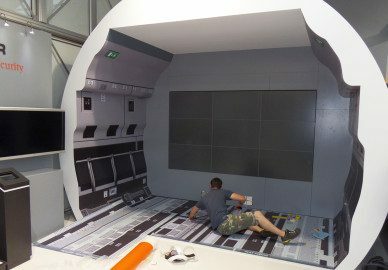 For example, how about creating a false floor, maybe an underfoot aquarium or beach scene, or even a snow or rock landscape? We have a few floor graphics on this page to see, and check out the !TA case study for a floor lino in all its glory, including a video of it being installed. If you’d like more information on what we could do for you, or you'd like to talk about your own project, contact us for some help and an estimate.